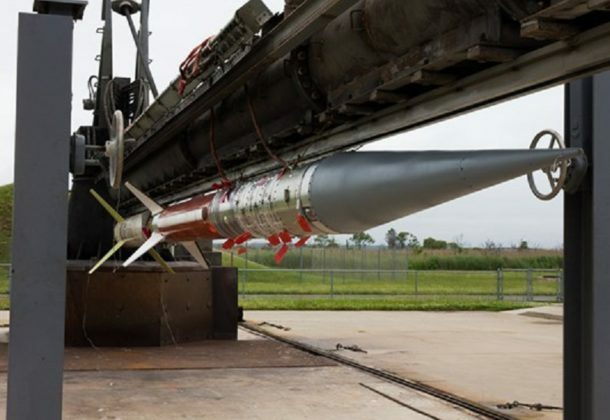 NASA says the launch of the Terrier-Improved Malemute sounding rocket will now be scheduled for Thursday morning, June 29, with a launch window between 4:15 and 4:45 am, THV11.com. This is the 11th time the launch has been attempted at the Wallops Flight Facility. Southern Maryland skies are in the launch’s viewing range. The House Armed Services Committee will propose $631.5 billion in defense funding, reports Breaking Defense. It’s about 1.4 percent less than the $640 billion the HASC chairman wants, but it’s 4.7 percent more than President Donald Trump’s $603 billion request. Air Force Brig. Gen. Charles Corcoran told Military.com American pilots made the call to shoot down Syrian aircraft on three separate missions this month and said their actions were in self-defense. On June 18, a Super Hornet conducted the US military’s first air-to-air kill involving a manned aircraft in nearly two decades. On June 8 and again June 20, the military shot down drones as they approached or dropped munitions near US-backed forces on the ground. The White House says it has found evidence that Syria is preparing for another chemical weapons attack, Associated Press reports. In Homeland Security features Air Force veteran Dr. Monique Maldonado in a video podcast about the current state of the F-35 JSF program. Dr. Maldonado offers her analysis of the F-35’s past, present, and future. Textron demonstrated a 20mm cannon on its twin-jet Scorpion last week at NAS Pax River, Flight Global reports. The company hosted the demonstration along with a .50-calibre HMP 400 pod, ahead of an Air Force close air support demonstration later this summer. Military Times reports the US Navy conducted a failed ballistic missile intercept last week with its SM-3 Block IIA. The destroyer John Paul Jones, running the Aegis Baseline 9.C2 combat system, failed to intercept a medium-range ballistic missile launched from the Pacific Missile Range Facility in Hawaii. Lockheed Martin is completing its third GPS III satellite, part of a planned order of 10 to form a new GPS network for the US military, UPI reports. The GPS III network is meant to provide greater accuracy for air, ground, and sea-based GPS systems. It features anti-jamming systems that are supposed to be up to eight times more effective than other satellites. The GPS III SV02 satellite was entered into space vehicle single line flow following the integration of antenna deck, propulsion core, and system module at its facility in Colorado, ExecutiveBiz reports. President Trump has nominated Thomas Bowman to serve as the deputy secretary at Veterans Affairs. DisabledVeterans.org says Bowman’s selection is a deviation from past selections, which tended to hail from the private sector. Mr. Bowman served in the Marines, and served inside the VA. The captain of the cargo ship that collided with the US destroyer Fitzgerald earlier this month said in a report that the US warship failed to respond to warning signals or take other evasive maneuvers, Navy Times reports. Seven US sailors died in the June 17 collision. Lauren Boden received the John E. Burdette Memorial Award during a Helicopter Test Squadron 21 Project Officer/Project Engineer/Aircrew Meeting last month at NAS Pax, The Tester reports. Ms. Boden has distinguished herself as lead project engineer for the MV-22 Integrated Aircraft Survivability Equipment test program. Huntington Ingalls Industries, Pascagoula, Mississippi, is being awarded a fixed-price-incentive-firm target modification to a previously awarded contract (N00024-13-C-2307) for incorporation of the Flight III baseline on DDG 125. Flight III will incorporate the SPY-6 (Air and Missile Defense Radar (AMDR)) and upgrade the electrical power and cooling capacity plus additional associated changes. As this award represents the first DDG 51 Flight III baseline contract award, and the Navy expects to release a competitive solicitation for additional DDG 51 class ships in the Flight III configuration in future years, the contract award amount is considered source selection sensitive information (see 41 US Code 2101, et seq., Federal Acquisition Regulation (FAR) 2.101 and FAR 3.104) and will not be made public at this time. Work will be performed in Pascagoula, Mississippi (60 percent); Cincinnati, Ohio (7 percent); Walpole, Massachusetts (5 percent); York, Pennsylvania (2 percent); Camden, New Jersey (1 percent); Erie, Pennsylvania (1 percent); Charlottesville, Virginia (1 percent); and other locations below 1 percent (collectively totaling 23 percent), and is scheduled to complete in fiscal 2024. Fiscal 2017 shipbuilding and conversion (Navy) will be obligated at time of award and will not expire at the end of the current fiscal year. The Naval Sea Systems Command, Washington, District of Columbia, is the contracting activity. STG Inc., Reston, Virginia, was awarded a $16,643,366 modification (P00018) to contract W91RUS-14-C-0015 to provide non-personal information technology services and support requirements necessary to support the full range of operations, maintenance and defensive functions of the Army’s portion of the Global Information Grid, or LandWarNet. Work will be performed in Fort Huachuca, Arizona, with an estimated completion date of Dec. 31, 2017. Fiscal 2017 operations and maintenance (Army) funds in the amount of $16,643,366 were obligated at the time of the award. US Army Contracting Command, Fort Huachuca, Arizona, is the contracting activity.